Pope Francis has sent a message to another pope, Tawadros II to mark the "day of friendship" between Catholics and the Coptic Orthodox, noting that churches face current challenges, particularly in the Middle East, where Christians continue to face daily persecution. 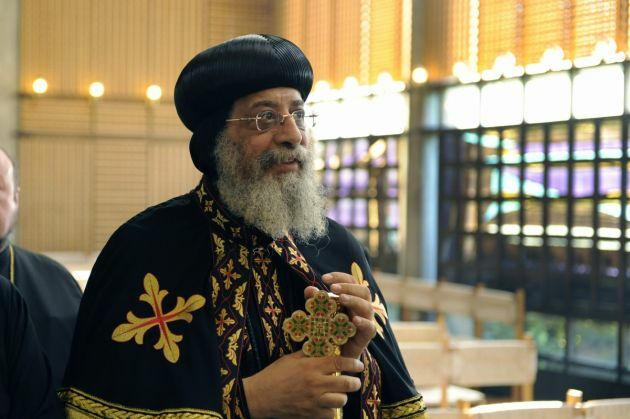 "Though we are still journeying towards the day when we will gather as one at the same eucharistic table, we are able even now to make visible the communion uniting us," Pope Francis said in his May 10 letter to Pope Tawadros II of Alexandria, leader of the Coptic Orthodox Church. May 10 marks the anniversary of the first meeting between Pope Paul VI, the Bishop of Rome, and the head of the Coptic Orthodox Church, Pope Shenouda III, which took place 43 years ago. In 2016, on the Day of Friendship between Copts and Catholics, Pope Francis wrote to Tawadros II, Pope of Alexandria and Patriarch of the See of Saint Mark, to commemorate the occasion. Like the Bishop of Rome, the Coptic Orthodox Patriarch of Alexandria is known as "Pope" to his followers. The Coptic Orthdox Church is an Oriental Orthodox Church and is a member of the World Council of Churches that brings together more than 550 million mainly, Anglican, Orthodox and Protestant Christians. Pope Francis' message marked the third anniversary of his meeting with Tawadros in Rome; the day has become an annual celebration of fraternal love between the Catholic and Coptic Orthodox Churches. "Copts and Catholics can witness together to important values such as the holiness and dignity of every human life, the sanctity of marriage and family life, and respect for the creation entrusted to us by God," Pope Francis wrote. By learning to "bear each other's burdens and to exchange the rich patrimony of our respective traditions," he continued, "then we will see more clearly that what unites us is greater than what divides us." The Coptic Orthodox Church is an Oriental Orthodox Church and is a member of the World Council of Churches that brings together more than 550 million Christians from mainly Anglican, Orthodox and Protestant traditions. The Catholic Church is not a member of the WCC, but it cooperates with it in many areas and serves on its Faith and Order Commission. The Coptic Orthodox Church of Alexandria is the largest Christian Church in Egypt and Northeast Africa. "As we continue our earthly pilgrimage, if we learn to bear each other as burdens and to exchange the rich patrimony of our respective traditions, then we will see more clearly that what unites us is greater than what divides us," said Francis in his letter.